Ground breaking for the first phase of the fifteen-acre Brown and Hall Environmental Garden was held in the fall of 1996. Named in honor of Douglas Deane Hall, the garden features a pond, and seven habitats ranging from the lake to the upland forest. In 1999, the Dr. Dan and Muriel Nathan Education Pavilion is a screen-in classroom with a patio overlooking the lake. The classroom is intended for instructional classes for pre-school students through senior citizens. Participants in educational programs can learn about their environment and ways in which we can protect and improve our surroundings. This Garden greatly expands the focus and mission of Massee Lane. 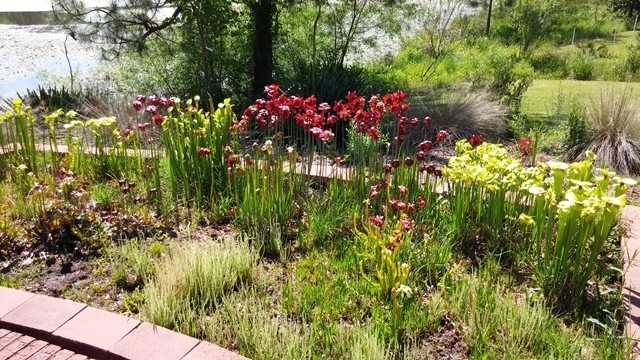 Featuring plants native to the southeastern United States, this garden illustrates the diversity of plant life in our area.The Georgia Department of Transportation has given ACS permission to be a repository for locally endangered native plants, adding to the significance of the garden. 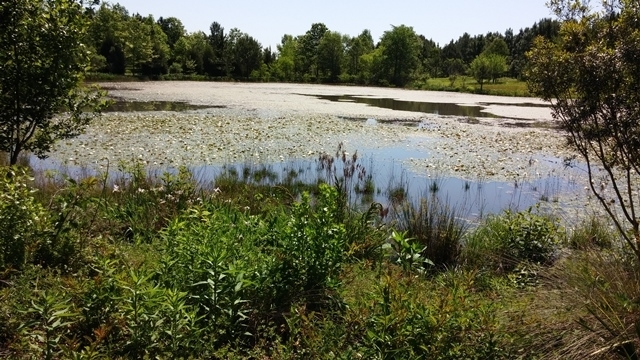 A paved walking trail and a wildflower nature trail encricle the 2.4 acre pond. Benches are situated throughout the garden for viewing wildlife. 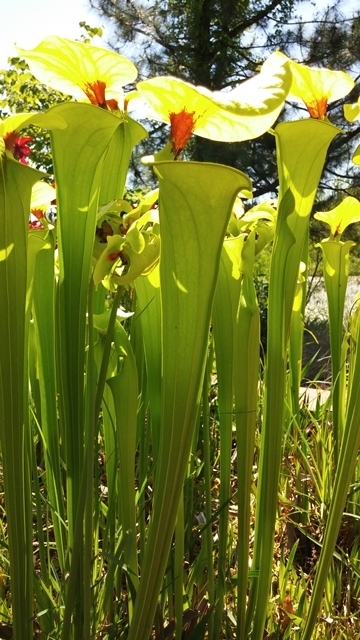 A bog garden features venus fly traps, several varities of pitcher plants, and delicate wild orchids.The garden is frequently visited by migratory birds, ducks, geese, rabbits, deer and turtles. Bluebird houses are place intermittingly around the shoreline.